In Annonaceae, the high diversity of pollen morphology is more reliable than floral morphology in higher-level systematics, thus further investigations on pollen morphology are still needed. 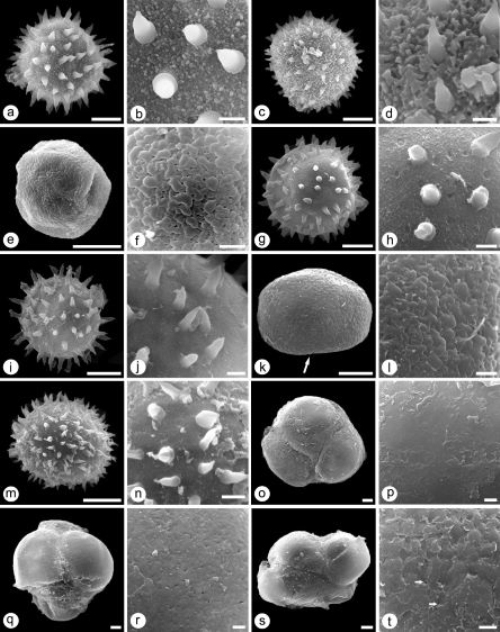 Compared with the extensively studied pollen morphology of the tropical American and African Annonaceae, pollen morphology of Asian Annonaceae has been relatively poorly investigated though tropical Asia has the largest number of species of the family. Forty-nine species and one variety, representing 18 genera of Annonaceae were investigated. Results show: 1) Dasymaschalon, Desmos and Asian Friesodielsia usually have inaperturate pollen with echinate ornamentation. The inaperturate pollen and echinate ornamentation are quite stable in the three genera, and reconfirm the close relationship of Dasymaschalon, Desmos and Asian Friesodielsia, which has been proved by molecular evidence. 2) Three tetrad types (tetragonal, tetrahedral and decussate) were observed in Goniothalamus in this study, while only tetragonal or tetrahedral tetrads were reported previously. Decussate tetrads were observed for the first time. A similar situation appeared in Mitrephora, in which pollen grains are released as tetrahedral tetrads. However, based on the present investigation, five coexisting tetrad types (tetragonal, rhomboidal, T-shaped, tetrahedral and decussate) were observed in Mitrephora, even in one species (M. tomentosa). 3) Polyalthia in its traditional broad sense was the largest genus. Early studies showed that it was highly variable palynologically, and was considered to be polyphyletic. The polyphyletic genus Polyalthia has been significantly reduced in scope in recent years, as a result of molecular phylogenetic analyses. The species of Polyalthia s.l. sampled in this study have been segregated into four genera: Huberantha, Marsypopetalum, Monoon and Polyalthia sensu stricto. Pollen morphology within Huberantha, Marsypopetalum and Monoon seems to be rather consistent, but is diverse within Polyalthia sensu stricto. More evidences, especially molecular evidence, are needed to study intra-genus relationship of Polyalthia sensu stricto. 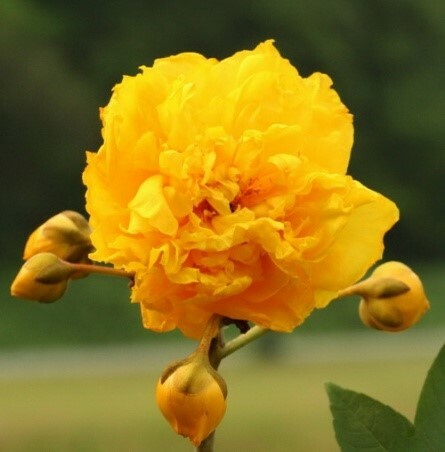 This study was financially supported by the National Natural Science Foundation of China [grant number 31270227]; the Strategic Priority Research Program of the Chinese Academy of Sciences [grant number XDA13020500].